Will Brewers’ bats be missed at this year’s All-Star Game? The lone Brewers’ representative for this year’s All-Star Game will be closer Francisco Rodriguez. The National League may regret not adding a Brewer bat like Adam Lind, Gerardo Parra or even Ryan Braun to this year’s squad. Over the last five All-Star Games, players representing the Milwaukee Brewers have been the most productive of the 30 MLB teams. Need proof? Here’s a look at the number of All-Star Game hits and RBIs from players representing each of the 30 MLB teams in the last five ASG (2010-14). Brewers players are one of 10 teams that have a All-Star Game batting average over .300 in the past five All-Star Games. The Brewers are seven-for-21, a .333 average. The other teams: Atlanta (four-for-13 .308), LA Angels (four-for-12 .333), LA Dodgers (three-for-nine .333), Minnesota (two-for-six .333), NY Mets (four-for-10 .400), NY Yankees (five-for-16 .313), San Francisco (four-for-10 .400), St. Louis (seven-for-20 .350), Tampa Bay (two-for-five .400). Of the five teams listed above that did not have a hit in an All-Star Game from 2010-14, the Chicago Cubs and Washington have had the longest drought at the ASG. 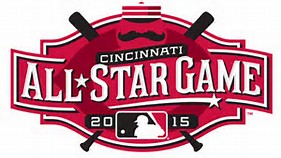 Both the Cubs and Nationals have not had a hit from one of their players in the All-Star Game since 2007. The Marlins and Padres have not had an All-Star Game hit since 2008; the Mariners have not had a hit in the ASG since 2009. One final note: The Royals this year will have four players in the starting line-up for the American League. Hopefully they can tack on a few ASG hits considering that the Royals bats have been virtually absent over the past several years. Consider this: KC’s Salvador Perez got a hit in the 2013 ASG for the Royals. It was the first hit for a Royals player in the All-Star Game since Bo Jackson had a pair of hits in the 1989 ASG.